Halloween might fall right at the end of the month, but retailers start talking about it as soon as October rolls around. For them, it’s the last big sales event before Christmas – but whatever your business is, you can still benefit from this festival of all things spooky. In the UK, Halloween is regarded as a bit of harmless fun, and has no major connections with religion. As a business, it means you have more free reign with your marketing than you might for other celebrations. People don’t complain that Halloween is over-commercialised, so it’s a great opportunity to go on and make money from it! Go to your customer directly. Direct mail can be one of the most effective forms of marketing – so long as it’s done right. Create something fun and inventive and customers will really respond. Send a themed postcard wishing them a Happy Halloween and featuring your company logo, or go all-out with a picture of your store in its spooky decorations or your staff in their best costumes! Or perhaps you’d like to feature a ghost or ghoul that your customers can proudly display in their home or place of work – maybe something with a die-cut shape, or something they can fold to create a spooky 3D monster. Encourage your customers to come to you. Whether you put on a special sale, host a themed event, or turn your premises into a haunted house, you can use Halloween as a great way to bring customers in through your doors, and appeal to a wide range of customers. A youth fashion retailer might host a late-night sale with a DJ and complimentary drinks, while a grocer’s might put on a pumpkin carving competition. If you’re in the right location, tell people to drop by when they’re trick-or-treating for some goodies. Whatever you do, make sure you promote your event with in-store posters and a stack of flyers at the till. Create something people want to read. Get creative and produce a flyer or brochure that ties into the Halloween season. Practically any business can do this – you just need to make sure you feature your company logo and contact details. How about a flyer that lists some of the best Halloween events in the area? This would be perfect for a taxi company. Meanwhile, an estate agent could produce a brochure featuring ‘haunted’ houses for sale, a bookshop could print bookmarks featuring spooky reads, and a pub or shop could hand out flyers about scary stories from the local area, and even their street or building – there are plenty of haunted places in Norwich! 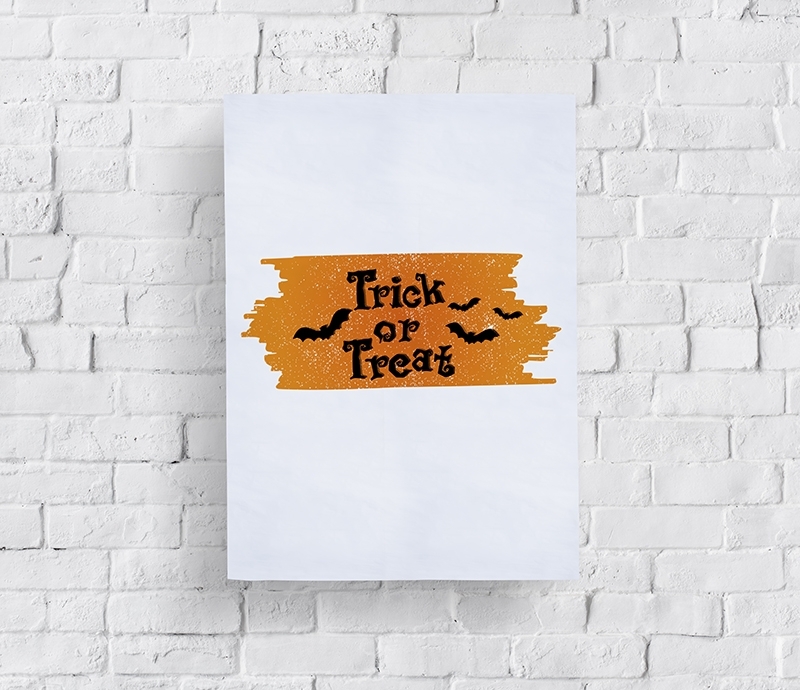 Getting your print marketing materials ready for Halloween doesn’t have to be scary. Talk to Colour Print about what you need this season. Call us on 01603 488001 or email sales@col-print.co.uk. Follow Colour Print on Facebook and on Twitter at @Colour_Print for more print advice and inspiration.